EDIT: Not sure why this post disappeared. Here it is again. I was pretty excited that the Beta weekend was extending an extra day. With the holidays, bike riding, and the wonderful weather we didn't get in much playing time this weekend. However, last night we were unable to get a group together to run instances and the group finder was no help. We ended up messing around with housing stuff and Virika did a some cooking. She rather enjoys the way Wildstar handles crafting and I'm sure she'll write more about this later. The most obvious thing to talk about is the incredible new UI. It's more sleek than the original, taking up much less space on field of play. It highlights important information more prominently where players are likely to be looking. It needs a bit of polish still. Certain tooltips for UI elements are cut off and some are completely unreadable. I had several option boxes pop up obviously asking if I was sure I wanted to do the current action but all I could read was Yes and No. On my Esper, focus was just a percentage without a graphic bar or anything. And the white percentage text was hard to see on the colored background. Addons will obviously help further customization and I'm sure many more will be available after launch. Also added were body type options for character creation. I'm sure a lot of people will love it. For me, it's not the most important feature of the game. When we couldn't get an instance going early Saturday morning, we made some Granok toons. I went with warrior and Virika made a medic. Good times! And about healing... it can't feel very daunting at first. We had run through the last 12 levels or so without any instances beyond shiphand missions just racing to 50. This weekend, I was eager to jump back in. The first attempt we made was with Swordmaiden. At first I was failing very, very hard. We ran with a stalker tank that was jumping all over the screen like a jack rabbit. I don't know about stalker mechanics yet but he said he needed to move to keep his power up. And he moved and moved out of my aimed healing spell's telegraph most of the time. He was also moving so far that I believe he was often out of the range of my Mental Boon, a pulsing AOE heal over time spell. I realized as we got into it, that I was relying on the builder spell Soothe a bit too much. It's disadvantage is that it has to be aimed but I believe it costs no focus and it can build up PSI points rather quickly. As of the latest patch, the Esper can move after the first charge is going, which certainly helps. But I was still missing probably half the time. It went especially bad when we pulled to many groups. As I started to rely more on spells like Mind Over Body and Warden to single target heal the tank and generate PSI points things got a little better . The tank still seemed to take a ton of damage and I did start to run into lack of focus issues on big pulls and boss fights. I improved as things went on but I'd like to get in some more practice before launch. At the end of the day, I'm glad the game feels challenging and I'm not feeling bored ever. I've been reading Medicating Nexus and I'm eager to see some more Esper specific healing from other sources. I plan to crunch some numbers myself but I lack the know-how to make a model like the one MN uses. But I do believe numbers are only part of the equation in Wildstar. The combat is much more active than other MMOs I have played. I think strategy of movement combined with quick reflexes and knowing what spells you can cast before you have to move again will play a major part in theorycrafting for Wildstar. Healing is going see the greatest change for someone coming for an old MMO. Addons like Grid/Healbot/Clique trained us to stare at health bars. That won't be the case any longer in Wildstar. I think it will be a lot more fun. My exposure to healing with come on my alt Spellslinger. I'm interested to see how it goes. I don't know what your stalker tank was on about, but energy recovery is not tied to movement. At least not from my fairly limited experience! 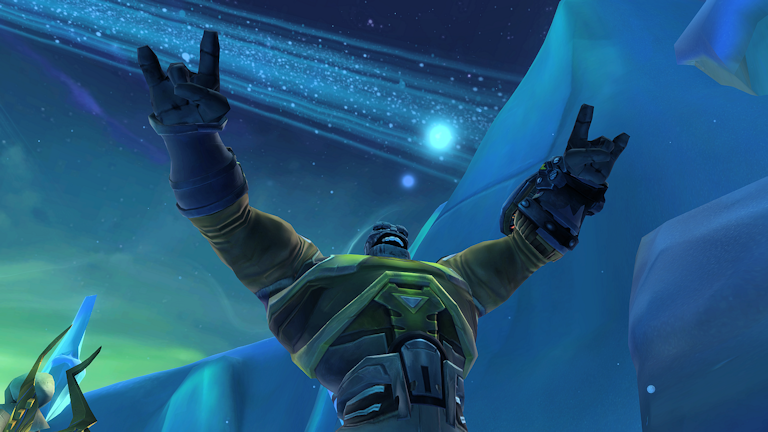 I think it will be a while before tanks and healers both adjust to the Wildstar systems.